I know you get used to seeing homes with modern interiors because it is the trend these days but there are still homes that also use other interior styles as well from contemporary, Asian, eclectic, cottage, rustic, farmhouse and many others. It just depends on your taste and design preference as well as the functions you need for your space. We have featured many different bedroom designs already. I am sure you are fueled with ideas but we never run out lists to feature for you. So, today, we have collated farmhouse bedroom designs that will inspire you. Most farmhouse spaces has painted wooden walls, wooden floors, wooden beds which would also have four posters, patterned fabrics and a mixture of various textures. 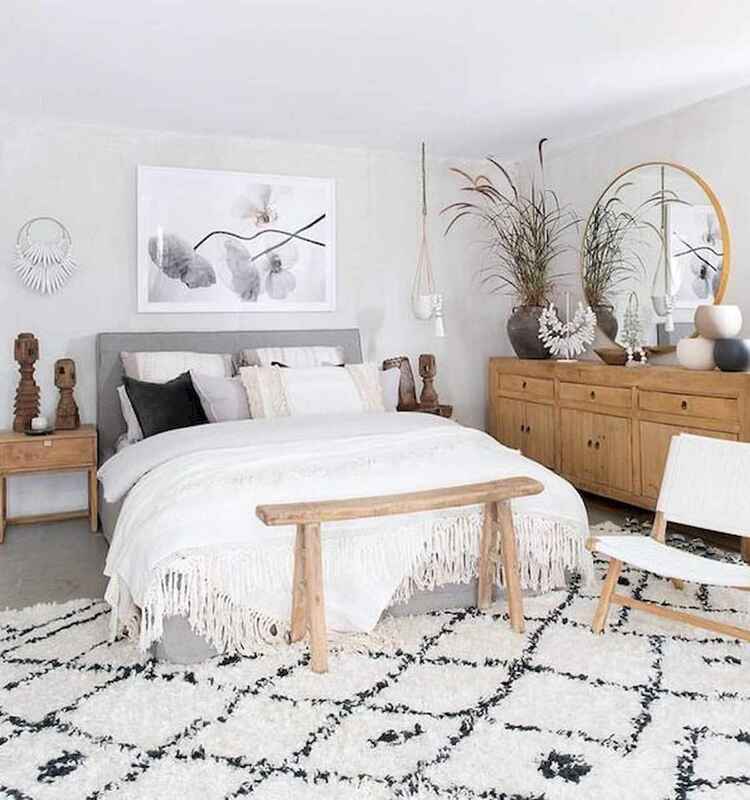 If you are not familiar with this kind of design, you can take a look at other farmhouse interiors that we have featured before and of course, take a look at this list of 60 Adorable Modern Farmhouse Bedroom Design Ideas and Decor that we have gathered for your inspiration. Scroll down and get new bedroom design ideas for your home!